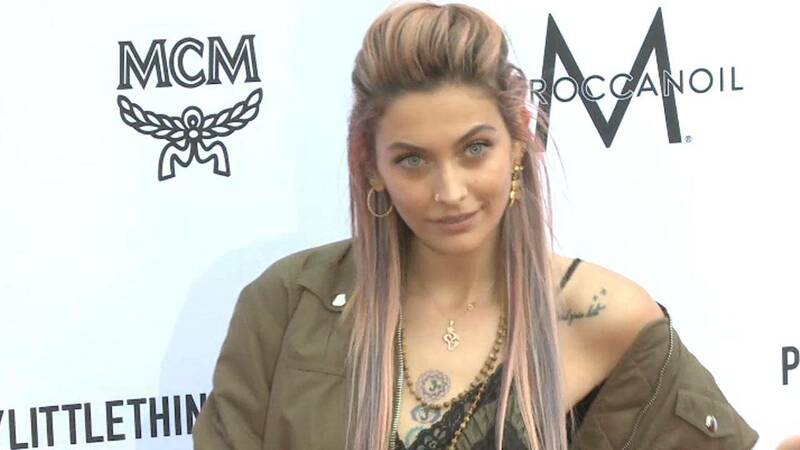 Paris Jackson was seen out and about with her boyfriend and in comfy clothes after a report surfaced that she had attempted suicide over the weekend. Photographers caught up with Jackson outside her Hollywood apartment wearing a long-sleeve sweatshirt. She was later seen with her boyfriend, who appeared calm in front of the reporters. "I'm chillin'," Jackson said when asked if she was OK. When spotted again, this time in a parking garage, Jackson showed off her right wrist, which was covered in bracelets but did not appear injured. The 20-year-old daughter of the late Michael Jackson later shared a soda from KFC with boyfriend Gabriel Glenn before the two headed to the movies. TMZ reported Saturday that authorities were called to Jackson's home and she was transferred to the hospital. Police later said in a statement to People the emergency officials responded to an attempted suicide in the area. But Paris contradicted TMZ's reporting on Twitter, writing, "f*** you you f****** liars." "lies lies lies omg and more lies," she added. TMZ also reported, based on "sources with knowledge," that the incident was in response to the latest abuse allegations against her father, Michael Jackson, in the HBO documentary "Leaving Neverland."